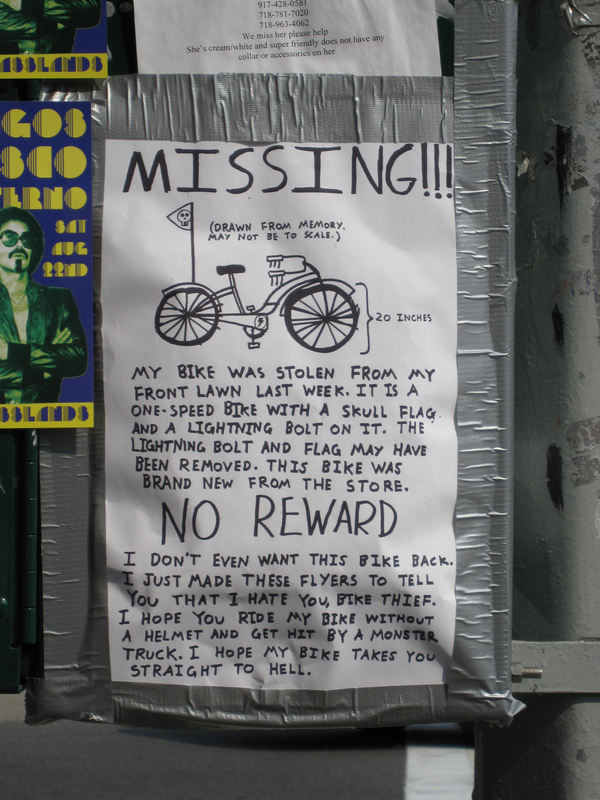 2 Comments on "Williamsburg, Brooklyn’s position on stolen bikes is clear." hilariously enough my buddy charlie put those up. It is for a threadless shirt. Heh. 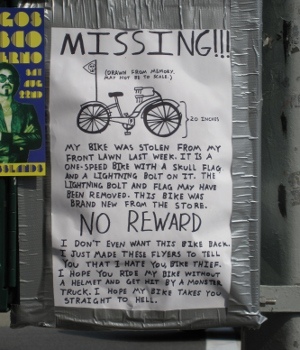 So was his bike actually stolen? 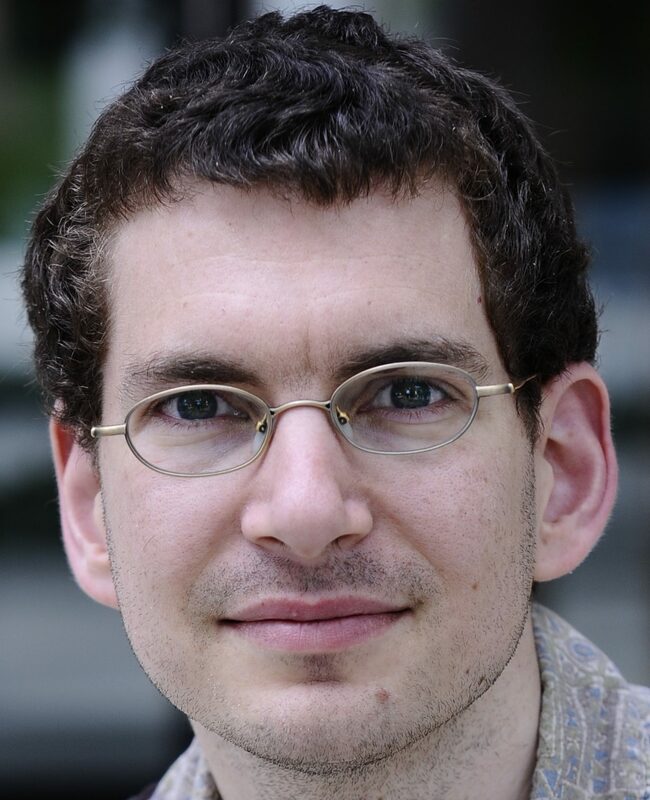 Previous Previous post: Help QuestionCopyright.org Brainstorm a Grant Application!